The agent eventually noticed the typo and fixed it up. Two people have died in a gyrocopter crash offshore from Western Australia's South West region. A Civil Aviation Safety Authority spokesman told AAP the small recreational aircraft was flying along the shoreline at Forrest Beach, near Capel, at 2.19pm on Wednesday when it crashed. Police and St John Ambulance were immediately called and rushed to the scene, but paramedics were stood down. The Australian Sports Rotorcraft Association has been notified and will likely assist police with their investigation. An ASRA spokesman said the association's Queensland-based incident manager was flying to Perth to accompany his local counterpart and would arrive on Thursday morning. CASA will look into the accident, but may not need to conduct a full investigation if the police probe is conclusive. Police said the exact make and model of the aircraft was not yet confirmed. There had been unconfirmed reports it was a military helicopter, but a Defence spokeswoman referred inquiries to police. The shocking brawl was caught on camera yesterday afternoon at Auburn in the city's west. Footage of the incident shows a woman driving a black hatchback mounting the roundabout and coming to stop in front of a silver ute. She then gets out of the car and storms over to the ute, throwing a punch at the man as he steps out of the car. The two begin to tussle in front of shocked motorists. She continues to punch the man as he appears to try to push and kick his attacker away before someone steps in to break them apart. Police are reportedly investigating the incident, with Auburn Police Acting Inspector Karl Leis calling the behaviour "totally unacceptable". A future bride has been slammed as "trashy" after turning to Facebook to complain after her boyfriend proposed with his grandmother's ring. 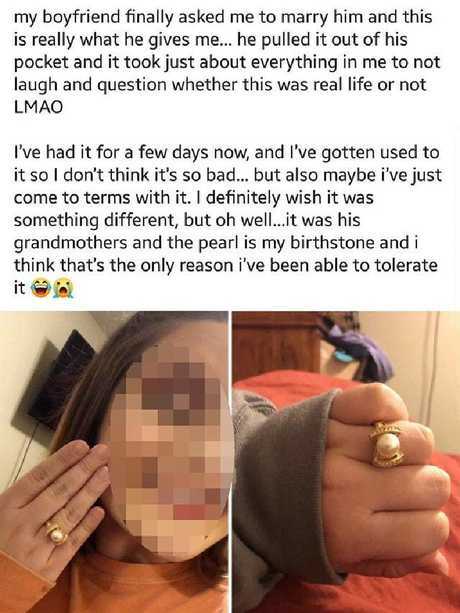 A screenshot of the unnamed woman's post was shared to Reddit, in which she details how disappointed she was in the ring her boyfriend "finally" proposed with. "He pulled it out of his pocket and it took just about everything in me not to laugh and question whether this is real life or not," she wrote. "It was his grandmother's and the pearl is my birthstone and I think that's the only reason I've been able to tolerate it." The accompanying picture shows the woman wearing a big pearl ring in a gold setting. The post has divided opinion, with some claiming she should be grateful for what she got while others agreed that the ring was awful. "Hope that guy takes the ring back and runs," one user wrote. "There's nothing wrong with the ring, it once belonged to his grandmother and it was Also the girls birthstone, it has far too much sentimental value and it's the thought that counts," another said. One pointed out that a pearl wasn't a good stone for an engagement ring as they can get damaged easily, but added that she shouldn't be shaming him on Facebook about it. "She was trashy for posting this on FB, but I agree that is not an engagement ring," one wrote. One added: "To be fair, that really is a terrible ring." Others called it "ugly" and "hideous". Do you think the woman has a right to be upset about the ring? A worker at a care facility in Sydney's southwest has been charged over the alleged indecent assault of a female patient. Police launched an investigation following reports that a teenage girl, who has a cognitive impairment, had been indecently assaulted by her carer in July last year. A 61-year-old man was arrested yesterday and charged with aggravated indecent assault. He has since been fired from the facility and appeared in Liverpool Local Court yesterday. Four people are facing charges following a horror brawl in a McDonald's car park in Sydney's west on the weekend. A 32-year-old man was discovered unconscious and with head injuries at the fast food outlet in Penrith at around 1.30am on Sunday. According to witnesses he and another man were injured during a fight with a group of men. The group reportedly fled when police arrived at the scene. The victim was taken to Westmead Hospital in a critical condition and is receiving treatment for severe facial fractures. Police carried out two search warrants at St Clair and Glenmore Park yesterday and four men aged between 19 and 22 were arrested. They are due to appear in Penrith Local Court today and face charges including grievous bodily harm. 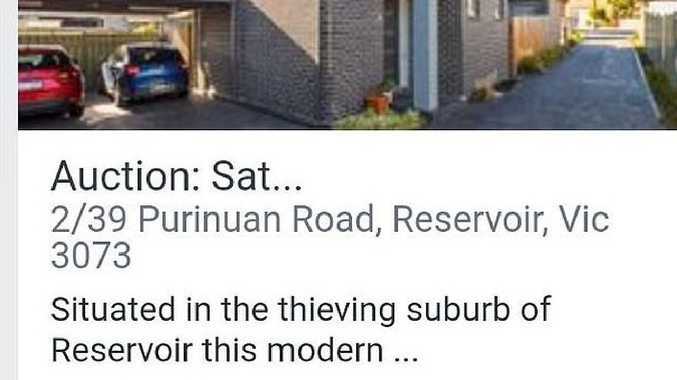 A Melbourne real estate agency has been left red faced after someone noticed an unfortunate typo on the online advertisement. For one Ray White real estate agent the small typo made a big difference to the way he was trying to describe the two bedroom home in Reservoir, in the city's north. He accidentally used the word "thieving" instead of "thriving" to describe the suburb. 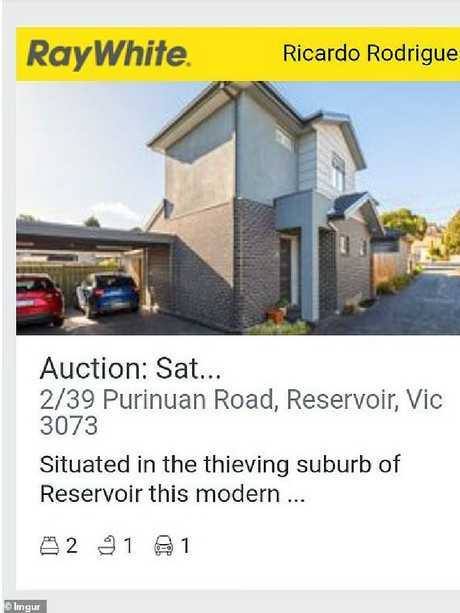 "Situated in the thieving suburb of Reservoir this modern double storey townhouse boasting relaxed, easy living is on offer to you," the description read. The ad has since been corrected and hopefully not too many potential buyers were put off by the mistake. The former Auburn deputy mayor, 32, had been running an appeal against his 11-month minimum term for trying to influence a local government election ever since he was sentenced in June 2018. But that attempt was abandoned on Wednesday after District Court Judge Helen Syme said she found the initial sentence "very moderate indeed". She also suggested the Crown could apply to have Mehajer's jail term increased. Mehajer, who once went on national television to declare his desire to become prime minister, was found guilty in 2018 over a plot to enrol 77 voters ahead of the Auburn City Council election in 2012. Mehajer was elected and later became deputy mayor. During his appeal process, he has unsuccessfully tried four times to be released on bail. 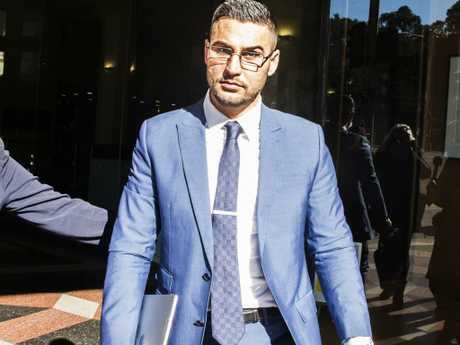 Judge Syme on Wednesday noted a third of Mehajer's 77 offences relate to using forged documents, an offence that carries a maximum jail term of 10 years if sentenced in a higher court. Mehajer's lawyer had argued his minimum term should be reduced so he could begin psychiatric treatment outside jail before his scheduled release. But the Crown said he was "constantly" assessed inside prison. The 32-year-old is due for conditional release on May 21. His full jail term expires in March 2020. 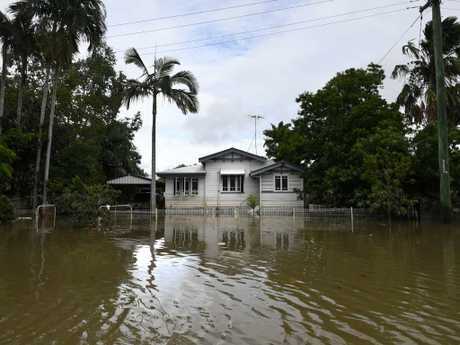 Residents in Queensland's north are starting to clean up and assess the damage after deadly unprecedented floods decimated the area. 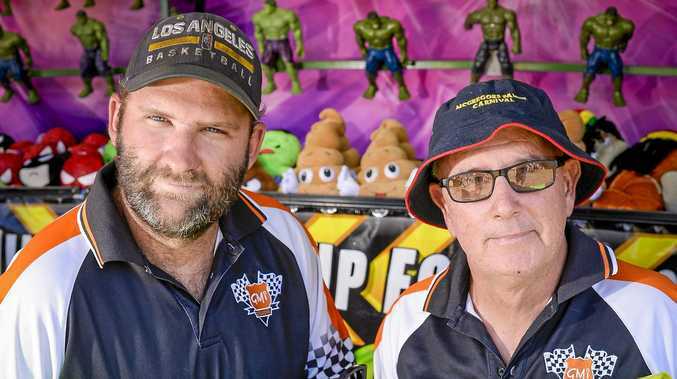 The damage bill is continuing to rise for Townsville as resident hose down their mud-filled homes and throw out damaged belongings, with some suburbs still waterlogged. The once-in-a-century big wet event caused flooding that killed two men, forced thousands of people to flee and is expected to have impacted up to 20,000 homes to some degree. Premier Annastacia Palaszczuk has warned that while they are a resilient people, the enormity of what they'd been through would soon hit. "To go back into your home and to have lost things and having to rebuild … is going to be very hard for many people to take on," she said. On Wednesday the Insurance Council of Australia said it had more than 6500 claims from Townsville residents worth around $80 million.